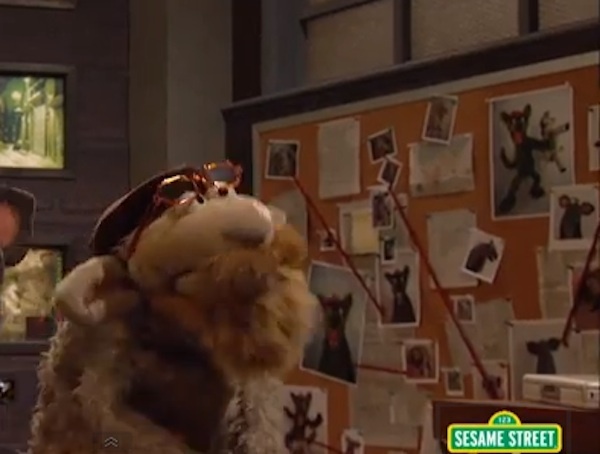 Sesame Street has a little something for everyone, including the Homeland fan. While the Showtime terrorism-focused drama might not seem like a good fit for a children’s program, Sesame Street knows how to tone down a plot and play up whatever humor might be mined from even the most serious of subjects for the sake of their young audience. In this case, we have “Homelamb,” a spoof featuring lambs Carrie and Saul, and their suspect, Special Sheep Agent Nicholas Ba-a-a-a-rody. Nicholas Ba-a-a-a-rody turns out to be a wolf in sheep’s clothing, go figure, and the parody has him taking off or on the lam(b), while Carrie follows after him. It’s a clever parody, though not the first we’ve seen this season. The Simpsons did their own Homeland parody back in September. But Sesame Street’s no stranger to parodying popular TV shows that kids’ parents are probably more interested in than they are. Who could forget Upside Downton Abbey? I’d like to put in a request for a Scandal parody, Sesame Street.